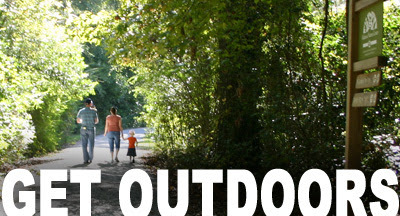 Get Outdoors and enjoy a little hiss and slither at the Alabama Nature Center THIS SATURDAY! If you want to learn more about cool reptiles, local frogs and toads then we have an agenda for you! Enjoy snakes, lizards, turtles and so much more at the Alabama Nature Center this May with Dr. Robert Hastings, Rick Dowling, and Susan Smith! Don't miss the coolest reptiles in the state & beyond during this special Saturday at the Alabama Nature Center! 9 am | Join Susan Smith starting at 9am at the Radical Reptiles Craft Station to make some awesome arts and crafts! 10 am | “Snakes of Alabama” with Dr. Bob Hastings | Join Dr. Hastings as he shares fascinating facts about the venomous and non-venomous snakes that call Alabama home! 11:30 am | ”Out of this World Reptiles” with Mr. Rick Dowling | Join Mr. Rick as he takes you on a virtual journey to Peru to see what reptiles of Peru look like! 1 pm | Bullfrog Pond exploration and Riparian Adventurewith Rick Dowling | Join Mr. Rick on an adventure through ANC’s Riparian forest and Bullfrog Pond in search of Reptiles! 2 pm | Riparian Adventures Round 2 | Follow Dr. Bob Hastings on an expedition through ANC’s Riparian forest and Bullfrog pond in search of Reptiles in case you missed the 1pm adventure! Bring the family and enjoy a picnic lunch on Sunday, May 17th. Enjoy hiking five miles of scenic ANC trails, while learning about the fascinating natural history of central Alabama. No Reptile Rendezvous events on Sunday. Tag us on social media #AWFGO, we would love to see your photos!